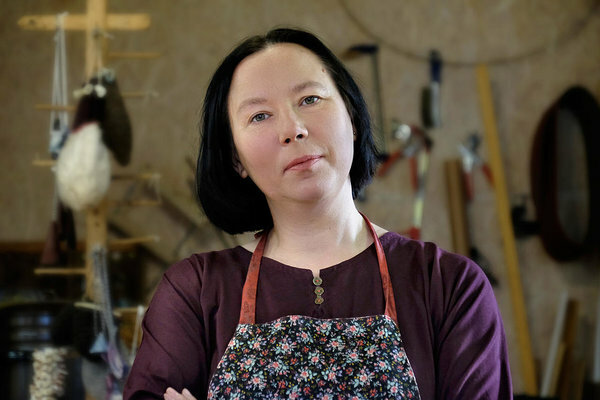 In 2010 I graduated from UT Viljandi Culture Academy where I studied Estonian Native Crafts (BA) and Applied Heritage (MA). My Master Thesis was titled "Bone items: Raw Material, Craft Techniques and Product Development". I teach and give workshop on bone related subjects at different universities. I find the plasticity, natural color and form of the bone very fascinating. Studying ancient technologies helps to feel the raw material and to use it thoughtfully. To preserve the natural look of the object I use the fire-water-sun method, which means I heat the objects, clean them in a water drum and bleach in the Sun. I find my inspiration from archeological findings and native people, but the thing that inspires me the most is the ideal form of the raw piece. This could be called the design of the Nature. Combining bone material with other natural sources like waxes, oils and plants helps to create amazing and long-lasting pieces.